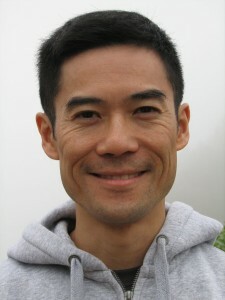 While tumbling to the ground, I have made up my mind to study from Master Chen. Back in 2003, after watching Master Chen’s Youtube videos, I sent him an email asking if I could observe his class. Among the videos, his demonstration with Michael sticks out. Despite a much more petite statue, tossing Michael around seemed effortless for Master. Later on, I found out that Michael isn’t only a 9th-degree black belt, but he is also a cop who has caught over 200 thieves. Simply put, he is no slouch. I sat down in that Maple Ridge hall and saw the same thing: Master bounced people left right and centre. Me and my big mouth asked if I could try. I am a skinny guy, but I have learned various styles such as Cha, Wing Chun, Wu Shu, you name it and I am a champion Salsa dancer. Balance shouldn’t be that difficult for me. I pushed Master with all my might on his arm. On top of not budging, the next thing I know, it felt like there was a trapdoor opened underneath of me and I plunged straight down. Unlike many people I have seen, this was enough proof for me. I got up and said to Master that I will start within a year’s time. I took a year to make sure I saved up some money so that I could take private classes with Master. I have taken far too many classes where people spent too much time talking and not practising. And I despise those who usually know the least and would come over to give you a few pointers while you want to figure a few things out in solitude. Hence, private classes were the way to go. It took me over four years to complete learning the first routine. Allen, the head instructor in Edmonton, taught me the last move at the Edmonton studio. Once off work, I would drive all the way from MINI Yaletown to Maple Ridge to pick up Master. The group workshop would be coming to an end at that time. And I would stuff Master in the front seat of the MINI and off to my house. I spent a lot of one to one time with Master and we, on top of Taiji, talked about MINI, Salsa (I did most of the talking there), to history. Sometimes I wonder if I enjoy the stories more, or Taiji theories more. In particular, I enjoy Master Hong’s stories. Part of the reason why I like discipleship ceremonies is that there is bound to be a story or two about this legend. The next day, I would drive Master to the airport to catch the plane back to Edmonton for work, and I to MINI Yaletown. 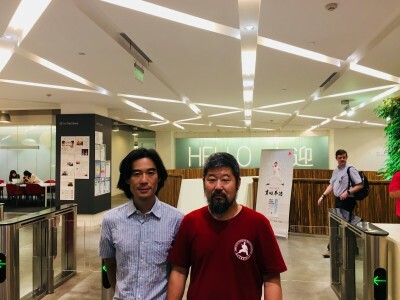 Chen Zhonghua and Nicholas Fung in Shanghai in June 2018. I became a disciple in 2010. In my discipleship application, I stated that I don’t know if I could learn this difficult art to an acceptable level, but I would give it a try. Like most students from the west, we place more importance on the learning than a ceremony. But now, I see how this simple ceremony helps promote the art. And promotion of the art is part and parcel to discipleship. At the very least, newer disciples look up to you for guidance and stories. So, here is one: In, I think, 2009, while we were on Daiqingshan training, came these rather big Shangdonese dudes. Master Chen said to them, this is my student, he is rather soft and they proceeded to push me and test my skill. I have trouble with push hands, I still do. I couldn’t hold off their advances. Master Chen then said to me in English, close your eyes, and wait for my cue. The big dude charged and Master said “now”, I opened my eyes and stretched to tapped the dude on the shoulder the same way Master taught that morning. To my surprise, the dude shuffled back about 10 feet, halfway down the square in front of the Yulange hotel. I am still working on this key element in Taiji: timing. To my greater surprise, Master later told me they were here for a challenge. Usually, Steve Chan handles those. I am not sure where he was that day. Nonetheless, I have always watched Master like a hawk. Recently, I have devised a training that is about 1.5 hours long where we work on the following: Yoga Block Fetch Water, Rubber Cord Elbow In, 1 2 3 step, Yilu and some Push Hand. My students experience swift progress, and they see the body mechanics and energy alignment. I am also highly skilled in observations and copying. I look forward to sharing my skills with you.